For a low sec Faction Warfare alliance, we sure are spending a lot of time in null sec lately with numerous timers, CTAs, and fleet actions! 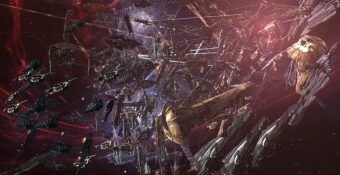 Today EVE Online’s tranquility server suffered a DDoS attack causing mass disconnect to capsuleers. Be advised to take proper actions to avoid accidental loss of assets/ships due to it. More updates as the story develops. CCP Seagull, EVE Online Executive Producer, to leave CCP Games. CCP Seagull has recently announced on the EVE Online forums that she will be leaving CCP in the coming months, which is a position she has held since July 2014. EDITORS’ NOTE: This article was written before several events in this conflict due to the editorial team taking too long to get to it. These events will be covered in the next Northern Conflict Observatory. We apologize for this inconvenience. If you would like to discuss this dev blog, feel free to head on over to the feedback thread on the official forums. Hisec Mercenary Alliance: VMG Coup! At 1404 EVE today, EN24 was made aware that a SLYCE Fortizar in VFK was flipped to Goonswarm. It appears that King Voodoo, a senior director in the alliance stole 300 billion ISK in the process. This is the latest in a string of high-profile defections from Guardians of the Galaxy. Most of you by now should be aware that one of the main focuses of this years fanfest in Iceland was a new type of NPCs that will be coming to New Eden, alongside all the things that go with it. Otherwise known as the Triglavians. Unless you’ve been living under a wormhole, you’ll have heard that Kenshin suffered a serious theft yesterday. Kenshin is a major PVP corporation in DARKNESS. alliance, and a key element of the Guardians of the Galaxy coalition. 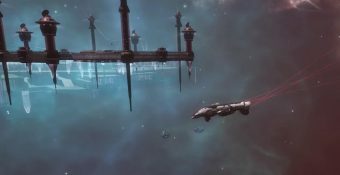 EN24 is doing an open call for writers, storytellers, and reporters interested in making internet spaceship news an integral part of their Eve Online experience. War of Ascension – A step in a new direction. 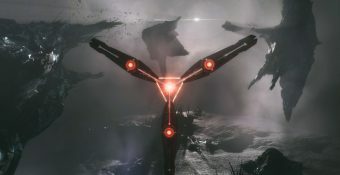 As part of the Keynote speech this year at the annual EVE Fanfest celebration it was announced by CCP that the previously named Project Aurora has now been titled EVE: War of Ascension. 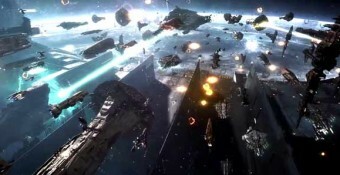 This article is your weekly briefing on the conflict in the east between Unspoken Alliance./WE FORM V0LTA/Skill Urself and the Drone Regions Federation. All good things come to an end, sadly. Still here we are. The closing ceremony to EVE Online’s 2018 Fanfest. Let’s see what surprises CCP Games have saved for the end. Here comes the first big EVEnt of the Fanfest 2018; the EVE Online keynote. What surprises does CCP Games have in store for us? the wait is soon to be over.